BASEBALL 2DAY Coaching Journal - Excellant source of drills, tips, and other coaching Information. Popular topic include: Hitting Drills, Coaching Q&A, Oitching Drills, Newsletter Archive, New Product Reviews, Intructional Video Review, Coaching Books Review, Website Review, The Creatine Debate, Steroid Abuse, Baseball Safety and First Aid. USA TODAY Baseball News - Includes the basic updates, stories, stats, and profiles, but does not include audio or video clips. Though news stories are updated during the off-season, individual team reports are not. CBS SportsLine Baseball - Includes basic baseball news, stats and stories as well team reports which are updated during the off-season. CNN/SI Baseball - Provides comprehensive baseball coverage including news, features, in-depth statistics, minor league coverage, and historical data for every major league player, including retired players. Includes some contributions from SI columnists. The Sporting News: Baseball - The well-respected magazine goes online with much the same content as the print counterpart, including great features by writers such as Peter Schmuck and Mark Bonavita. Team reports are updated weekly on Fridays, including during the off-season. Baseball Weekly - USA Today's web version of their Baseball Weekly publication. Baseball Server - Part of the larger Nando Sports Server. This is a direct link to the no-frames section of the Baseball Server. Includes features on Japanese, South Korean and all levels of College baseball in addition to the traditional MLB stats and scores. Jim Furtado's Baseball Newsstand - Keep abreast of everything happening in Major League Baseball. The BTF Newsstand contains links to newspapers and columnists across the county. MSNBC Baseball Front Page -MSNBC and Sporting News (TSN) stories are combined with regional reports to fill this site with more feature articles than stats and numbers as compared to their competitors. 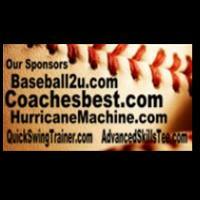 Baseball Junkie Online - Features news and commentary on the major leagues. LatinoBaseball - News and information on Latino baseball players worldwide. Includes historical profiles of various Latin American countries where baseball is popular. There are no scores on this site, but content is original and provided by the staff of Latino Baseball. The Diamond Angle Baseball Magazine -The Diamond Angle is a small baseball magazine published out of Hawaii. Features include interviews, photo albums, past player profiles, and book reviews. Baseball Ink - A print and online literary and news periodical featuring stories, history, nostalgia, memories, fiction and poems about baseball. Sportspages.com - Indexes links to online media outlets, official team sites and local newspaper team pages (i.e. Boston Globe's Red Sox page). HyperBaseball.com - Offers news, stats, rumors, featured articles, scores, trades. RobNeyer.com - The official site of ESPN baseball journalist Rob Neyer. Features regular columns from Rob and others. Heavy focus is on the Kansas City Royals, of which Neyer is a die-hard fan. He's also written a book called "Baseball Dynasties" and does radio appearances on ESPN Radio. Strikethree.com - The Web's Wise Guys of Baseball present Major League Baseball news, scores, stats, analysis, commentary and humor. The humor runs high on this site, which borders on a parody of the major media outlets' baseball pages. ProtospectWatch.com: The Future of Baseball - Statistical analysis on the future studs and duds of baseball, as well as player interviews. The Baseball Report Online - Baseball newsletter featuring original content on various aspects of the game. views with clubhouse interviews. Questions and answers with major league players. TripleSteal.com - Provides daily opinion, analysis and commentary including rumor mills, team reports, and hall of fame debates. Perfect Game Baseball - Straight baseball scores and news. Bucketfoot Baseball Newsletter - A unique and anecdotal look at baseball, this site includes stories and reader submissions on quirky topics such as "Good Riddance to Candlestick." Site does not provide current stats or scores. Fancake.com - Read sports news from both home and away sources. The Guy Channel: MLB Baseball - Access to MLB stats, news, scores and online team pages. TwoSeam - Features baseball news, and offers discussion pertaining to it. Baseball Editorial Cartoons -Cartoons about the baseball from top newspaper editorial cartoonists around the world. Field of Dreams Part II - Current baseball news from major league Field of Dreams. CTV Sportsnet: Baseball Page -This site is an extension of the CTV (Canadian Television) site, and includes all of the basics: news reports, scores, stats and some audio and video clips. Overall, CTV's coverage is not as deep or as comprehensive as the American counterparts: Fox, CNN/SI, ESPN, USA Today and TSN. This site also has minimal authority information. FOX Sports MLB Baseball - Extensive baseball coverage from the major media outlet. Team reports are not updated during the off-season. Includes audio and video clips. CBC Sports Online: Baseball - Provides news, statistics, boxscores, and feature articles. ESPN.com - Major League Baseball - This site features up to date news on all aspects of Major League Baseball with news, statistics, pictures, team information, and more. MaximumEdge.com Sports: Baseball -Comprehensive coverage of the latest baseball news, stats, and scores. Lycos Baseball - Breaking news, stats, rosters, and schedules for your favorite Major League Baseball teams. Baseball News from Moreover.com - Headlines and links to baseball news. Webmasters may also put relevant headlines on their site for free. MSNBC Baseball Front Page - MSNBC and Sporting News (TSN) stories are combined with regional reports to fill this site with more feature articles than stats and numbers as compared to their competitors. The Diamond Angle Baseball Magazine - The Diamond Angle is a small baseball magazine published out of Hawaii. Features include interviews, photo albums, past player profiles, and book reviews. ProtospectWatch.com: The Future of Baseball -Statistical analysis on the future studs and duds of baseball, as well as player interviews. Baseball Pressbox - Baseball news and views with clubhouse interviews. Questions and answers with major league players. Baseball Editorial Cartoons - Cartoons about the baseball from top newspaper editorial cartoonists around the world. CTV Sportsnet: Baseball Page - This site is an extension of the CTV (Canadian Television) site, and includes all of the basics: news reports, scores, stats and some audio and video clips. Overall, CTV's coverage is not as deep or as comprehensive as the American counterparts: Fox, CNN/SI, ESPN, USA Today and TSN. This site also has minimal authority information. MaximumEdge.com Sports: Baseball - Comprehensive coverage of the latest baseball news, stats, and scores. Lycos Baseball Breaking news, stats, rosters, and schedules for your favorite Major League Baseball teams. Baseball News from Moreover.com Headlines and links to baseball news. Webmasters may also put relevant headlines on their site for free.